Therafin’s FootSure Ankle Supports with side release buckle attaches to footplates with included footman loops, bolts and nuts, or self-tapping screws (all included). High quality materials and construction. 5 sizes available, sold in pairs. Manufactured by Therafin. Therafin’s FootSure Ankle Supports with hook and loop closures attach to footplates with included footman loops, bolts and nuts, or self-tapping screws (all included). High quality materials and construction. 5 sizes available, sold in pairs. Manufactured by Therafin. FlexSure Feet is Therafin’s new adaptable foot holder for individuals with foot positioning challenges. The FlexSure Feet are designed to allow dynamic foot movement while holding the foot secure. 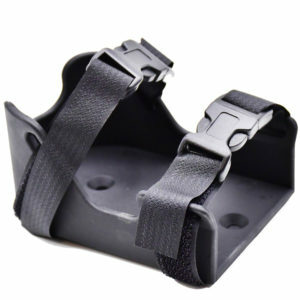 The buckle closure has Therafin’s exclusive hinged buckle at the toe to help the lower strap stay secure at various angles. 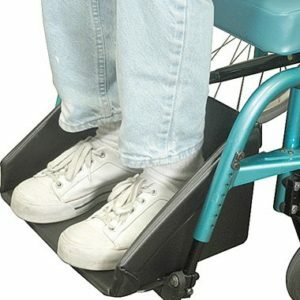 Easily mount to the wheelchair footplate using an ABC reinforcing plate with pre-drilled holes (included). Manufactured by Therafin. FlexSure Feet is Therafin’s new adaptable foot holder for individuals with foot positioning challenges. The FlexSure Feet are designed to allow dynamic foot movement while holding the foot secure. The adjustable hook and loop closure makes foot placement quick and easy . . . with or without shoes. Hook and loop closure has criss-cross straps that make them easy to fit and adjust. 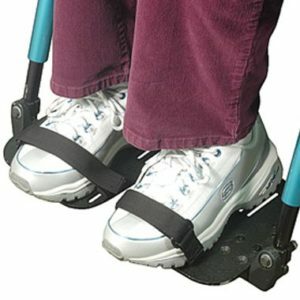 Easily mount to the wheelchair footplate using an ABC reinforcing plate with pre-drilled holes (included). Manufactured by Therafin. 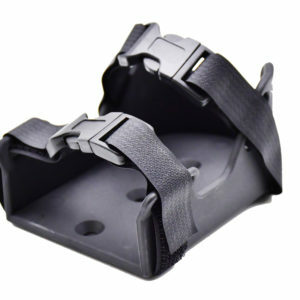 Full Footbox design mounts across both foot plates. 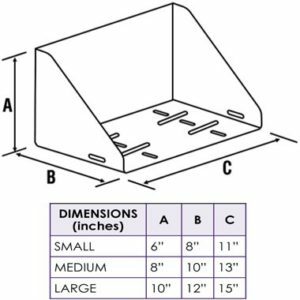 It has a slotted base for easy installation and adjustment, and the padded vinyl insert is closed cell washable foam. 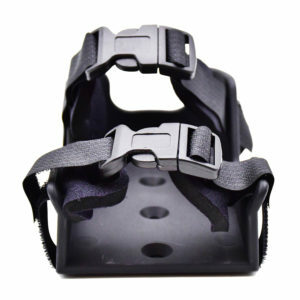 A footbox allows limited movement while containing the lower extremities. The resilient ABS construction bounces back into shape after impact. Manufactured by Therafin. 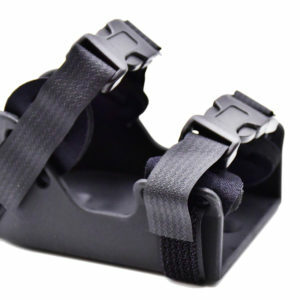 1 set replaces both padded straps on ONE Molded Shoe Holder (ankle strap and toe strap). Manufactured by Therafin. These Shoe Sandals feature an open design that keep feet cooler in warm weather, and have been improved for easier adjustment. They come completely assembled, and include hardware for attaching to footplates. Manufactured by Therafin.